The classic look and feel of leather will never go out of style and is a great choice for any home. But many homeowners shy away from purchasing leather furniture for reasons that are simply not true. It’s time to break through the myths and give leather furniture a good long look. Here are six things we bet you didn’t know about leather furniture. 1. Leather furniture is a great choice for families with young children or pets. Quality leather furniture is far from delicate and will wear better and last longer than fabric covered furniture, making it an excellent choice for all types of families. Genuine leather wears like iron, growing richer and more supple over time. Look for genuine leather if you know your furniture will see a lot of hard use. Real leather wears so well that in many cases the leather will outlast the padding underneath. To extend the life of your leather furniture, choose pieces with removable cushion covers whenever possible, so the padding can be replaced when needed. 2. Genuine leather furniture is a smart investment. While genuine leather furniture will cost more initially, it will last 3 to 4 times longer than fabric covered furniture. And since the look of leather never goes out of style, the leather couch or chair you buy today could easily be passed down to the next generation. 3. The price of leather furniture is based on the method used to dye the leather. The quality and ultimately the price of leather furniture is based on the method used to dye the leather. Pigmented leather is the most economical option. The dye is applied directly to the surface of the leather along with a protective coating. While the end result looks great and is budget friendly, the leather will not have the buttery soft feeling that most people expect from quality leather furniture. High quality leather furniture uses a process called dyed in the drum. In this process, the color permeates the entire piece of leather for a lasting finish. Sometimes an aniline coating is added as a protective sealant to prevent staining, but this can make the leather stiff. Leather left untreated is the best choice if you want your furniture to have a buttery soft texture. 4. Caring for leather furniture is easier than you think. It is true that leather furniture requires slightly different care than fabric furniture, but it is not as difficult as you might think – no more complicated than following the care instructions for cleaning your flat screen television. To keep your leather furniture looking its best, wipe it down regularly with a soft dry cloth to remove dust. You can use a regular vacuum to remove dust and debris from crevices just as you would any other piece of furniture. You should also apply a leather conditioner once every 6 – 12 months. This will keep the leather soft and supple and will prevent it from drying and developing cracks. If you have a spill, clean it up with a dry cloth. You may use water for sticky spills, but use it sparingly. You should never use household cleaning products on leather furniture. 5. Leather is comfortable and cozy year round. Leather is not cold in the winter, or hot and sticky in the summer. Genuine leather is a natural material, which means it breathes. Worried leather will not be cozy enough in the winter? Leather can actually absorb your body heat in 12 seconds, so you will be warm and cozy no matter what the temperature is outside. 6. Leather can heal itself. Sometimes leather can develop minor surface scratches, but unlike wood these scratches can be buffed out using a microfiber cloth and a leather conditioner. Leather is a natural material, so with a little extra care these scratches will heal over time. Hennen Furniture offers all your favorite and high-end leather furniture brands. Whether you are looking for leather recliners or sectional couches or a new desk chair for your home or office, we are sure to have what you want in stock with many styles and colors to choose from. 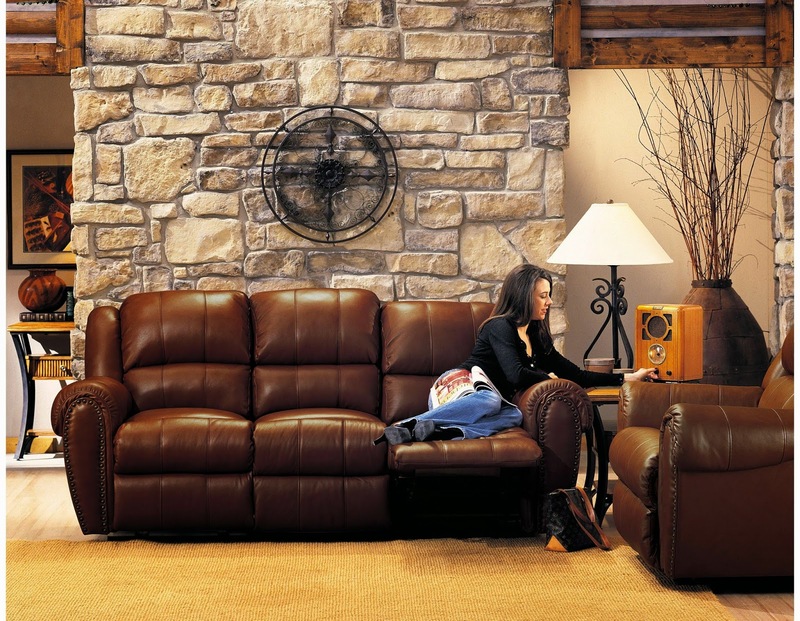 Visit Hennen Furniture today and take a look at leather.